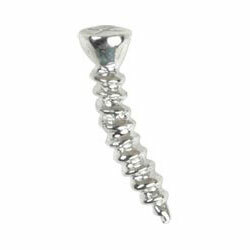 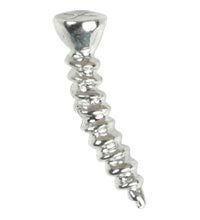 17mm long sterling silver screw design on 316L surgical steel 6mm or 8mm bar with 3mm screw-on ball closure secured at the back of the ear. 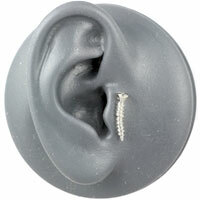 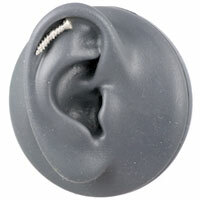 I got a pair for my ear lobes and get regular comments about having a screw loose when I wear them! 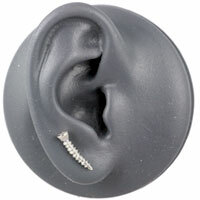 They are unusual and attractive, the comments don't put me off wearing them.